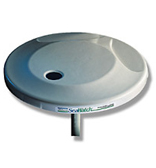 The ideal smaller marine TV antenna where styling and size are controlling factors. Perfect for close-in, or stronger signal areas. System includes antenna with built-in preamp, AC/DC power supply, 30ft of ultra low loss RG-59 coax cable, and gold-plated, screw-on F-type connectors. * Built-in 1in-14 thread ferrule. Shakespeare Style 4365 Straight Mount. 4" high stainless steel construction Standard 1"-14 male threads Excellent for Marine TV antennas. One inch diameter Durable and attractive. 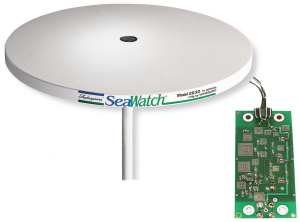 Designed for maximum Omni directional performance in the marine environment, this system includes the antenna with built-in preamp, AC/DC switch able power supply, 30 feet of ultra low loss RG-59 coax, and gold-plated, screw-on F-type connectors. Built-in 1in-14 thread ferrule. High performance and built to last.